Ken Burns' "Prohibition", will be kicking off the PBS fall season. The six-hour series will begin on October 2 with three two-hour segments running on consecutive nights. Peter narrates the documentary about the early 20th century ban on liquor, with Wynton Marsalis providing music and Tom Hanks, Jeremy Irons, Paul Giamatti, Oliver Platt, John Lithgow, Samuel L. Jackson, Patricia Clarkson, Adam Arkin, Sam Waterston and Josh Lucas contributing voices. Set in the era of bathtub gin, bootleggers and speakeasies, the series tells the true story of the rise, rule and fall of the 18th Amendment to the U.S. Constitution. It was called the Noble Experiment, but it was in fact one of America’s most notorious civic failures, an object lesson in the challenge of legislating human behavior. From 1934 to 1963, Alcatraz Island, off the coast of the San Francisco Bay, isolated some of the nation’s most infamous inmates - from Al “Scarface” Capone to “Birdman” Robert Stroud to George “Machine Gun” Kelly. 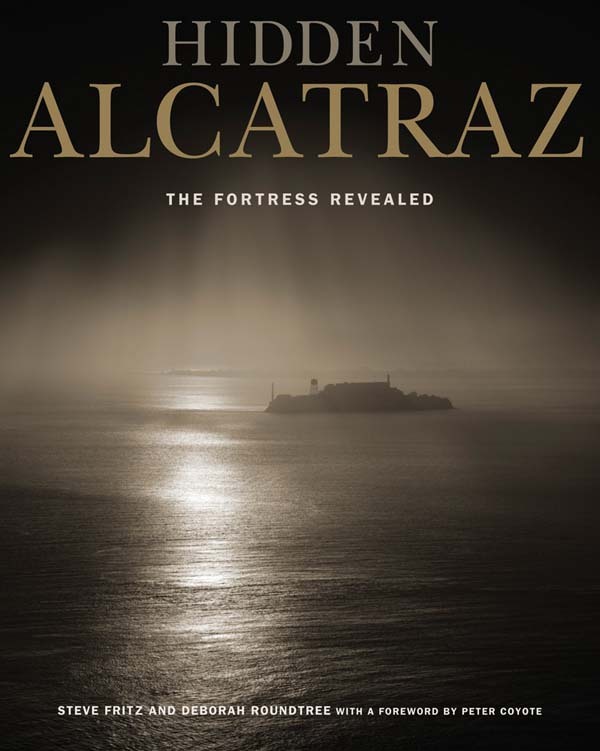 Last month the University of California Press published a new book called "Hidden Alcatraz: The Fortress Revealed", edited by photographer Steve Fritz and Deborah Roundtree. More than thirty photographers gained unprecedented access to the former prison to capture its deteriorating beauty. The resulting pictures present diverse visions of beauty in decay. They highlight the eerie, almost supernatural mood of the former prison, bringing texture to its historical artifacts and architecture, and evoking the extreme isolation and despair of inmates whose only remaining traces are suggestions of blood spatters and scratches on the walls. The foreward is written by Peter, who was present during the 1971 occupation by members of the American Indian Movement. You can listen to Peter as he recalls his memories of "the Rock" in June 1971 at this Vanity Fair link. I just came across these photos I had never seen before from the NCIS episode "Silent Night" that aired on December 16, 2008. 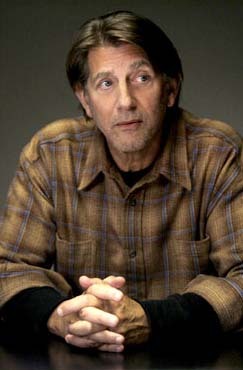 Peter played a Vietnam vet named Ned Quinn, who becomes a prime suspect. 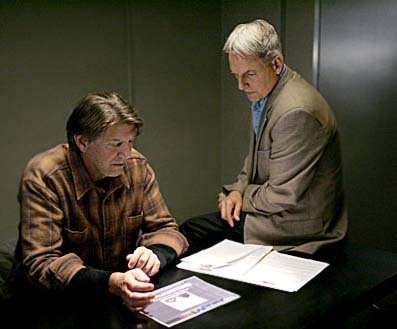 That's Mark Harmon as the investigator. I've also posted an excellent 2008 interview that I somehow missed. Peter explains his personal journey to Zen Buddhism. For those pursuing more knowledge in this spiritual endeavor, he recommends these four books: Zen Mind, Beginner’s Mind & Not Always So by Shunryu Suzuki Roshi, Taking the Path of Zen by Robert Aitken, and The Heart of the Buddha’s Teaching by Thich Nhat Hanh. Camelot Entertainment Group, Inc. announced today that ARC Entertainment in partnership with XLrator Media has acquired all domestic rights to the gun-slinging western THE GUNDOWN, "The legions of Western fans are hungry for well-made films as the success of TRUE GRIT demonstrates. 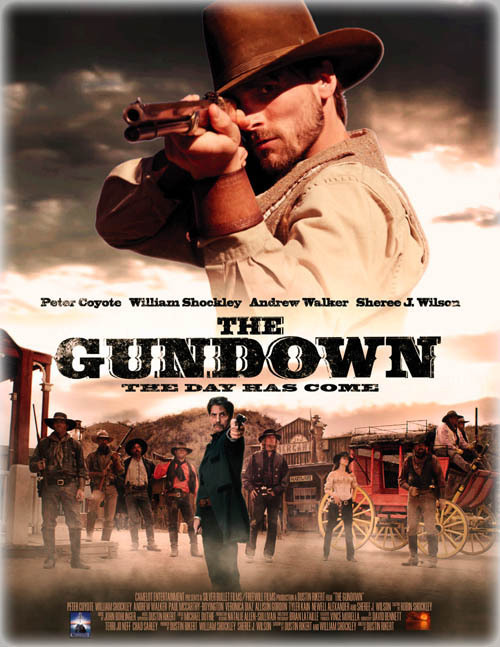 THE GUNDOWN will be embraced by fans of the genre," commented XLrator Media's Barry Gordon. 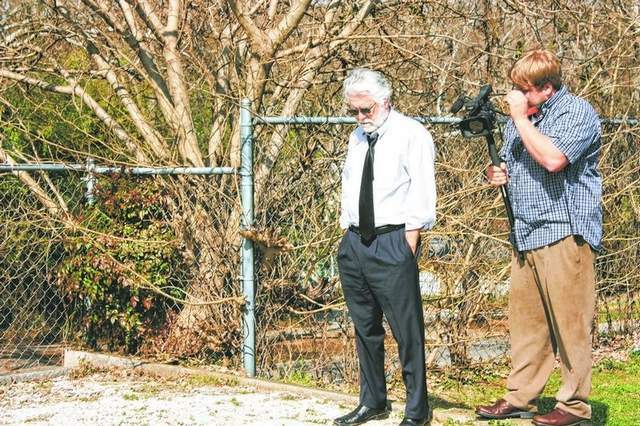 ARC Entertainment will release the film on VOD, DVD and digital platforms later this year. The film will become available in Scandinavian countries in Blu Ray and DVD on June 21st, but has been renamed "True Gun". Sound familiar? Besides Peter, the film stars Andrew W. Walker, Sheree J.Wilson, and William Shockley. One of the most treasured books that I own is Donald Allen's "The New American Poetry, 1945-1960." It was a totem of great importance and potency to my group of writer friends in college, from 1960 to 1964. Through it we were introduced to the works of Gary Snyder, Robert Duncan, Lew Welch, Denise Levertov, Robert Creeley, Michael McClure, Ed Dorn and others. These poets represented and articulated a world and way of living that seemed more vital and authentic, more important and compelling than the one we were being groomed for by our education, and we inhaled them like Camel cigarettes and discussed and shared them over coffee nightly. The book was a portal into that world, and by good fortune, within five years of my graduation, I had met and become a student and later friends with several of the authors. My copy is today dog-eared and stained, but the poems within and the consciousness they illuminate remain as fresh and pure as the day I first cracked the covers, 51 years ago, and just as important to me. If you plan to visit the Grand Canyon, you'll now get the chance to hear Peter's voice as he narrates an interpretive/orientation film for tourists. The National Park Service has announced it will begin showing the film at the newly constructed theater located at the Grand Canyon National Park’s Visitors Center at the park’s South Rim beginning April 18th. 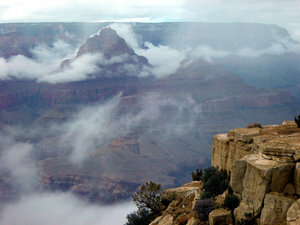 The film, titled “Grand Canyon: A Journey of Wonder,” takes visitors on a virtual trip throughout the park, introducing tourists to telling stories concerning Native Americans’ connections to the canyon, the area’s pioneer history, the Colorado River, the park’s geology and much more. The film is produced and directed by Joshua Colover of Aperture Films Limited of Newport Beach, Calif., who began this process in the spring of 2008 with initial filming occurring in the spring of 2009. The film will be shown on the hour and half hour during the hours the Grand Canyon Visitors’ Center is open and will be distributed through the Grand Canyon Association and available for purchase at sales outlets throughout the park and online beginning in May. In January, THIS IS NOT A MOVIE premiered in Mexico; however, there has been no news as to other openings. I did come across some interesting remarks made by screenwriter and director Ollalo Rubio at a press conference. 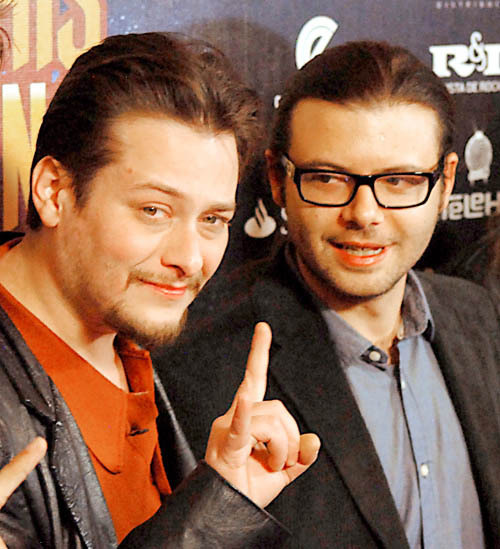 He explained that this film was one of his most cherished projects and acknowledged that he feels very honored to have performances by Edward Furlong and Peter Coyote, and the participation of guitarist Slash, who composed about 36 pieces for the mood of the film. On casting Peter, the director explained how Peter is "characterized by political activism as part of The Diggers, is also a Buddhist priest and is very involved with the study of the mental nature of man, and finally, is a San Francisco icon , so he seemed ideal to appear in the film." Iowa City novelist, Larry Baker, enlisted the help of Peter when he needed a narrator for his documentary, "A Good Man: A Story of a Story". Originally, Larry Baker said the film was intended to be about his book tour, but it grew to be something much bigger. The film is about the process of writing fiction. It is based on his latest book, "A Good Man," published in 2009 about fictional character Harry Ducharme, a radio host at the end of his career. In other words, the film is a nonfiction work about a fiction work. It's interesting that Baker's face is never shown in the film. He responds, "I'm not selling me, I'm selling creativity." You can view the 8-minute opening chapter at this link. You may have noticed that Apple's latest iPad commercial features Peter's voice intoning, "Technology alone is not enough. Faster, thinner, lighter - those are all good things. But when technology gets out of the way, everything becomes more delightful, even magical." Peter tells me that filming has wrapped for HEMINGWAY & GELLHORN and that he loved working with the film's cast, which included Clive Owen, Nicole Kidman, Lars Ulrich and David Strathairn. Peter has the role of editor Maxwell Perkins. Here's an on-location photo taken in San Francisco of Clive and Nicole on March 27th. The couple certainly look the part with Clive wearing Ernest Hemingway's signature beret and round metal framed glasses and Nicole sporting tousled hair and wide-legged trousers. The film tells the story of the writer and his second of four wives.Their tumultuous relationship and five-year marriage began when they met at a local Key West bar in 1936. 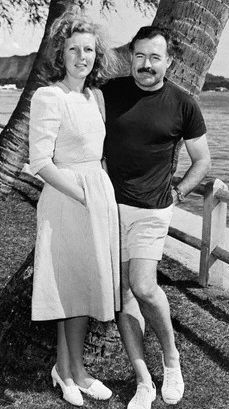 They married in 1940 after romancing in Europe while Hemingway wrote his famous novel "For Whom The Bell Tolls" for which she was the inspiration. "I'm still Sam Malone, I'm still the least-qualified person to be doing this, but here I am," said the former star of "Cheers" during his visit to Dominican University on Monday night. 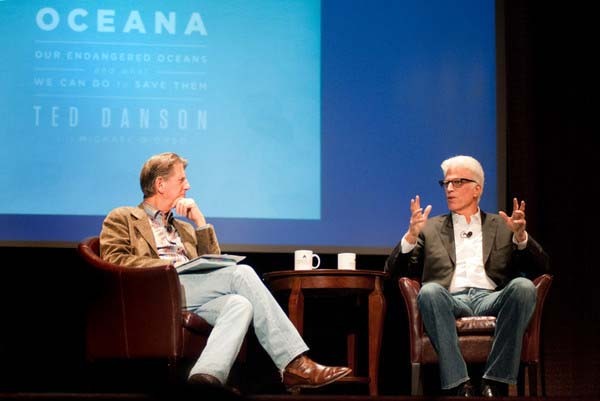 Danson sat down with Coyote for a friendly conversation about Danson's environmental project: Oceana. 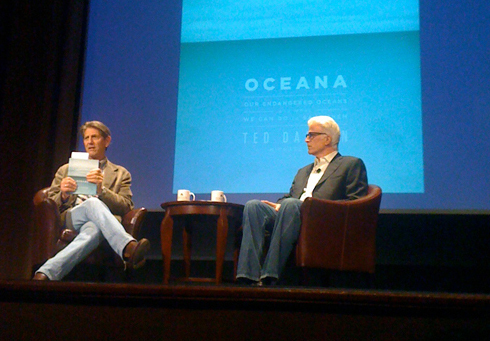 Coyote directed pointed questions at his friend and Danson rambled his way through the evening with personal stories and images of the dangers facing the oceans. 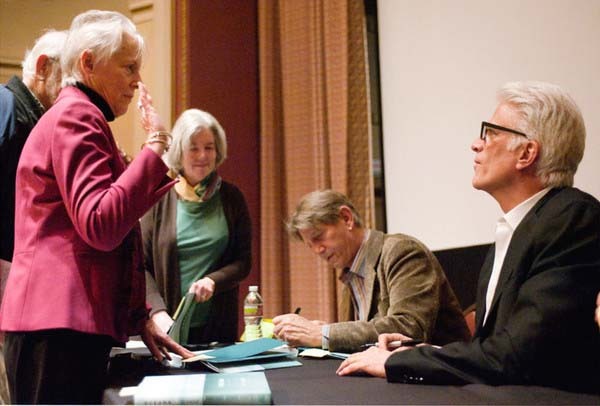 The crowd, which filled the auditorium for the lecture, was packed with Danson's fans although few knew of his work as an activist. While Coyote has become a major celebrity in the arena of conservation, Danson is a relative and unexpected newcomer. 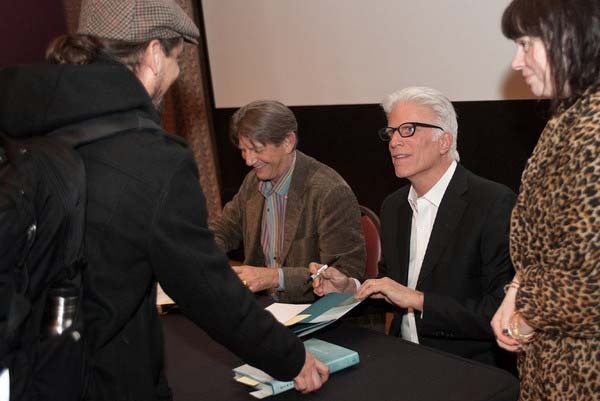 Several fans asked the celebrity duo to sign copies of Danson's new book "Oceana: Our endangered oceans and what we can do to save them," which was on sale through Book Passage as part of the lecture. The folks from artidocs.com were also present at Monday night's book event and during the Q&A session with the audience, they presented their upcoming project - a documentary about underwater sculpturor, Jason deCaires Taylor. Apparently Coyote offered to narrate it on the spot and his generosity was much appreciated by the filmmakers. Peter has been cast in the HBO Films production HEMINGWAY & GELLHORN, starring Clive Owen and Nicole Kidman in the title roles. Directed by Philip Kaufman from a script by Jerry Stahl along with Barbara Turner, the film recounts the tumultuous romance and subsequent marriage of literary master Ernest Hemingway and up-and-coming war correspondent Martha Gellhorn, following them through the Spanish Civil War and beyond. As she grew in reputation and stature, Gellhorn stood toe-to-toe with Hemingway, putting his famous bravado and iconic style to the test. The cast also includes David Strathairn as John Dos Passos, Parker Posey as Hemingway's fourth wife, Mary, Lars Ulrich of Metallica as documentary-maker Joris Ivens, Peter as editor Maxwell Perkins, Diane Baker as Gellhorn's mother, and Tony Shalhoub as a Communist Party functionary and journalist. Filming in and around San Francisco has begun with locations representing Key West, Spain, China, Cuba and New York. The film is scheduled to debut on HBO in 2012.